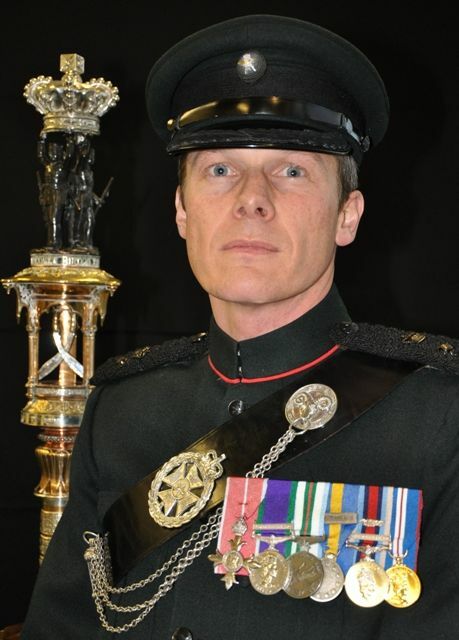 Lieutenant Colonel G M Strickland is the Commanding Officer of 1 Royal Gurkha Rifles. Here he writes about winning over the locals. We started this week with a strong push into an area in which our adversaries thought they were safe. But we did not go to fight; we went to talk. Because this campaign is more about communication than anything else. Many of the parties in this conflict are locked into a cycle of mutual suspicion, and rumour and conspiracy theories are rife. We have found that the only way to convince people of the benefits of backing the government is to go and meet them. Of course, it would be easier if they came to us, but the insurgents have put paid to that by threatening them with beatings if they do. So we go to them, and that can take a lot of effort, but it is worth it to see an Afghan Army officer sitting on the floor, surrounded by villagers, and winning them around by explaining how the Afghans must work together to solve their problems. All we do as ISAF is help them to find an Afghan solution, because it is their country and the more we take a back seat the better. There is a small story to illustrate this. As we entered a village from which we had been fired upon, the Afghan Army went to look in some of the compounds to check that there were no more insurgents there. As they entered one they were suspicious about two veiled figures. They rapidly worked out that it was in fact two young men hiding under the burqa, and detained them. The following morning, the boys’ father came to protest their innocence, stating that they had only put on the burqa because they were scared. This actually seemed plausible given what had been going on, so the Afghan officer decided to release them, but he did so to the assembled gathering of elders an hour or so later. As the Afghan officer explained the story the elders rolled around with laughter, and chastised the boys for being such fools, but they also promised to keep them on the straight and narrow in the future – and they do not make such promises lightly. It may seem a different world, but it works, and the troubles must be resolved their way. The Commanding Officer of 1st Battalion, The Royal Gurkha Rifles (1 RGR), Lieutenant Colonel G M Strickland, writes about his first impressions of Afghanistan. 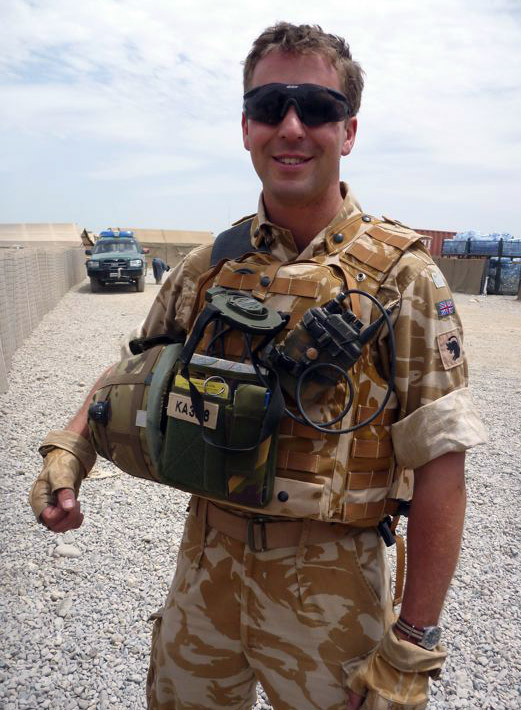 I am writing this from a patrol base in Helmand. It is a fortified outpost on the edge of a village, and the sound of the call to prayer from the local mosque is drifting through the hot and dusty morning air. The 1st Battalion of The Royal Gurkha Rifles came here two weeks ago to help the Afghan government bring security to this area. We took over our task from 1st Battalion, The Coldstream Guards who had spent the last six months pushing back a violent and harsh insurgency so that the families who live in these villages can go about their daily business without fear of retribution. Captain Philip Kaye of the King’s Royal Hussars (attached to 1st Battalion The Royal Gurkha Rifles) describes the good relations with the Afghan National Policemen he is advising in Afghanistan. I’m Captain Philip Kaye from the King’s Royal Hussars, attached to 1st Battalion the Royal Gurkha Rifles, on Operation HERRICK 12. I am currently deployed in the Nahr-E-Saraj District of Helmand Province, and am acting as a Liaison Officer to the Afghan National Police (ANP). There are three Police commanders within our Area of Operations (AO) and approximately 160 policemen. I have a 14-man Police Mentoring Team to help train and partner them on ground patrolling and deliberate operations. Our main focus is to raise the standard of the ANP in each checkpoint, and to support them in their struggle against the insurgents. Concurrently I will be looking into the overall police command structure and trying to resolve their kit and equipment shortages. The ANP are a fantastic group to work with. They are extremely passionate in their struggle against the insurgency, and recognise all that we are trying to do for them. Sadly, many policeman have lost relatives and been brutally intimidated by the Taliban. By serving in the police they are legitimately able to help protect their communities and work towards their goal of defeating the Taliban and supporting their government. After thirty years of war many of the men recognise that Afghanistan now has a real opportunity to move forward and break out of its extremist shackles. We are working hard to support them with our tactical knowledge and kit and equipment. The last month has been extremely rewarding and it looks set to be an exciting summer. Rifleman Ganesh Rana of 1st Battalion The Royal Gurkha Rifles describes leaving home and arriving in Afghanistan. A soldier carries a lot of responsibilities. He is ready whenever, and wherever, to do whatever, if the order comes from the commander. Having these things on their mind, 1 RGR Operational Mentoring and Liaison Team (OMLT – but now known as the Brigade Advisor Group) consisting of ten members left home for Afghanistan on 9 March 2010 for Operation HERRICK 12. It was the hardest moment for them, leaving families back at home, however there were sweet memories to take along. As a tradition of the Gurkhas they visited the Temple before the journey to the airport in Edinburgh (Scotland) to fly the following day. On 10 March 2010, it was the turn for the OMLT main body, consisting of 22 members and commanded by Sgt Buddhi as a ‘chalk’ (travel group) commander. There were no families without tears in their eyes. They were shaking their hands wishing their great warriors well. We visited the temple before heading to Brize Norton Airport. Due to a technical problem our flight was delayed for two days. We eventually flew on 13 March 2010 at 0600hrs and had three hours transit in Cyprus, and finally arrived in Afghanistan at 2200hrs on that day. We then flew straight to Camp Bastion. Our RSOI (arrival training) started on 14 March 2010 for eight days which was quite busy. It was a good opportunity for us to recall the things that we did during our Mission-Specific-Training (MST). In the mean time, there was Capt Houlton Hart (OC Recce) to update us about our Area of Responsibility. Finally on 21 March 2010, RSOI was completed and we headed to Camp Tombstone under command of the 1 Scots Brigade Advisor Group. That was the final battle prep day for us. The very next day 1 Section, commanded by Capt Houlton Hart, and 3 Sect, commanded by A/Capt Hotchkiss, flew to Patrol Base 2 (PB 2) and PB 1 respectively. And 2 Sect stayed in Camp Tombstone as a reserve section who had to train the ANA there. We were firstly camp-familiarised and later updated on the things going on. In the evening we had short chat with the Afghan National Army (ANA) officers. Next day we went for a familiarisation patrol in the village. We usually have ANA in our patrol because our main task is to liaise with ANA and conduct patrols. It is quite easy to work with the ANA because some of them speak Urdu so it is easy to chat with them. They are friendly. We push them to be punctual. Friday is the day on which the ANA take a day off (Muslim holy day). On that day, we get some down time too to sort out our personal administration. No matter how difficult it is during a patrol, everyone forgets about it when they get to call home or chat on the net with their families, relatives and friends. We came under contact after we had been in Afghanistan for about two weeks. It lasted about 45 minutes. Some of us felt it was quite normal as we were in Afghanistan for Operation HERRICK 7. Life in Afghanistan is extremely busy so the days, weeks even months seem short for us. The only thing we need to do is to keep working well together. For now we don’t have any problems at all that way.